The name pays homage to the iconic Amelia Earhart, the first female to fly solo across the Atlantic. 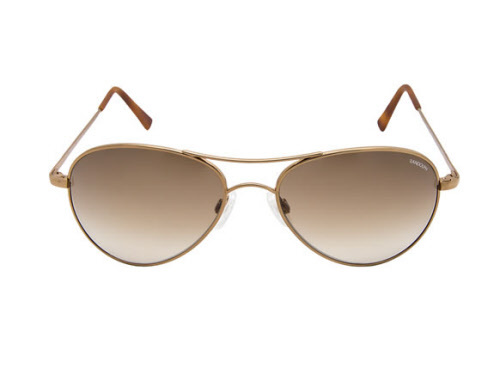 This tear drop, light weight fashion-forward Aviator lends a careless, laid-back air to any look and will appeal to the elegant casual female. 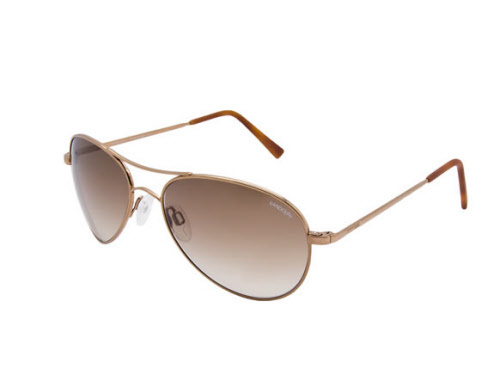 Whether you're flying across the world or just flying through life, the Amelia's flattering shape suits almost every face and conveys an every-day take on the military-inspired Aviator. Glasses feature Randolph Lite Lens Technology - our new Lite lenses (15% lighter than PC) are made from a hypoallergenic macromolecule that couples optical clarity with lightweight durability. Gradient Lenses - Anti-reflective and anti-glare Gradient lenses smoothly transition from top to bottom and provide refuge from harsh overhead sunlight while allowing more light through the bottom half of the lens. A great lens for everyday use. Practicality meets fashion. Wrapped lenses that follow the curvature of the face and cover a larger range of the human eye than our classic Aviator styles. The wrap lens prevents as much light as possible from entering the eye from any angle. Stunning Mazzucchelli temple tips adorn the frames for that final touch of perfection, yet another example of Randolph's attention to detail.